Japanese music label U/M/A/A will be releasing the Rez Infinite Original Soundtrack on October 11, 2017. 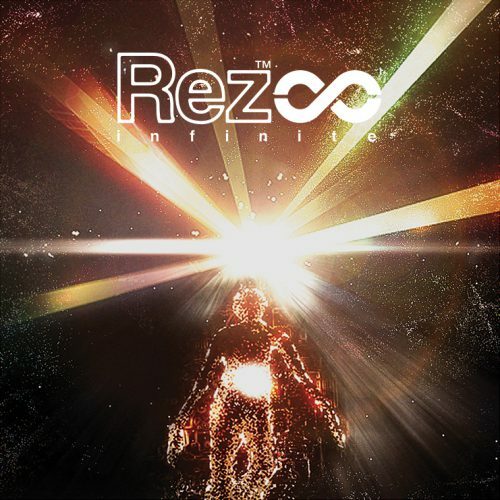 The Japan-only physical 2-disc set includes a 24-page booklet with artwork and excerpts from the Rez Infinite Retrospective Book (text in Japanese). It is available for pre-order now on Amazon Japan (¥2,900 plus tax) and can be imported to the US and other territories. Fans in Japan will also be able to purchase the OST at selected retail stores including Tower Records and HMV Japan. For those residing outside of Japan, the OST will release digitally, available for purchase and streaming on various platforms on October 11, 2017 at 12am in Japan. (Oct. 10, 8am PDT / Oct. 10, 4pm in UK).